In the first few months of 1894, San Diego County newspapers ran a number of articles about “the midwinter fair” and the county’s participation in it. Its official name was the California Midwinter International Exposition, and it ran in San Francisco’s Golden Gate Park from January 27 to July 5, 1894. A San Diego Union reporter, writing from San Francisco on the opening ceremonies, described perfect weather and throngs of people. San Diego County was one of the prime exhibitors. A miniature model of San Diego’s harbor was also part of the exhibit, according to the Progress, which also stated that a “Los Angeles resident” who’d visited both his city’s exhibit and San Diego’s pronounced San Diego’s “away ahead” of LA’s. The San Diego Chamber of Commerce was a prime sponsor of San Diego’s exhibit. Chamber president Hosmer P. McKoon was also elected president of the “County Commissioners Club,” representing the various counties exhibiting at the fair. The free produce was obviously meant to accomplish more than satisfying visitors’ sweet tooths. 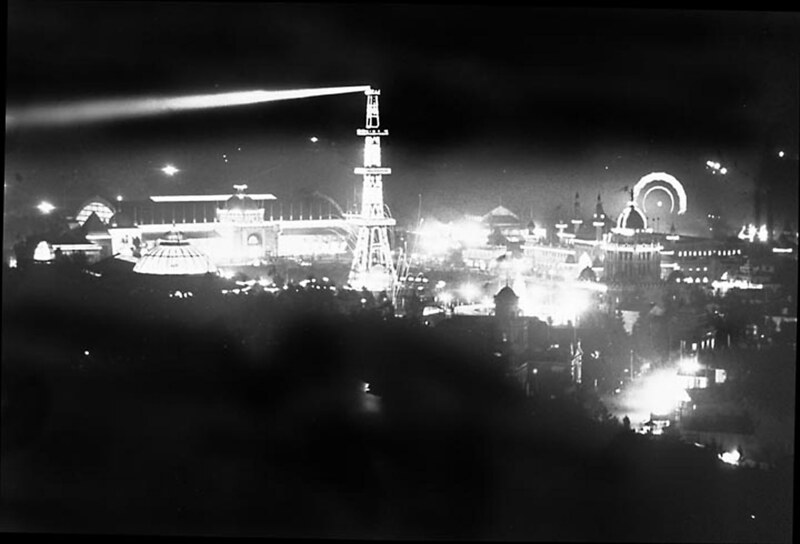 Some two million people passed through the fair’s gates during its run. That’s a lot of raisins. Phil Goscienski, MD, the Stone-Age Doctor, will present a lecture on the health benefits of wine and chocolate followed by wine and chocolate tasting at the San Diego Archaeological Center, Saturday, September 13, 11 am – 2 pm. Admission: $25 for members $35 for non-members (21 and over only). Space is limited and you must register in advance. Purchase tickets online at www.sandiegoarchaeology.org. To register for the event or for more information, please contact Cara Ratner at cratner@sandiegoarchaeology.org or by telephone: (760) 291-0370. Come help the Poway Historical and Memorial Society celebrate their 50th anniversary Sunday, September 14 from 9 am to 4 pm in Old Poway Park. There’ll be a museum open house, rummage sale, musical entertainment and speakers including yours truly, the San Diego History Seeker. I’ll also have a book table there. For details go to page 2 of the latest edition of the society newsletter, http://www.powayhistoricalsociety.org/newsletter/newsletter_14_fall.pdf . Join members of the Santee Historical Society for their annual Barn Bar BQ and General Meeting Saturday, September 20 at 11 am at the society’s headquarters, the historic Edgemoor Barn, 9200 Magnolia Avenue. Speaker will be yours truly, the San Diego History Seeker, speaking on the lives of pioneer residents Hosmer and Fannie McKoon. $2.50 a plate for members, $5 a plate for non-members (you can join on the spot). RSVP by calling 619-449-2024.